Even as India braces to welcome Women’s Day to celebrate womanhood and their contribution in politico-socio-economic development, the gender pay gap in the country declined by only a per cent in the last year in comparison to 2017. According to a finding from job-site Monster India, while the overall pay gap stands at 19 per cent, in the IT/ITES services, the pay inequality is 26 per cent which is the steepest among all sectors. In the manufacturing sector, men earn 24 per cent more than women while even women-intensive sectors like healthcare, caring services and social work, the menfolk earn 21 per cent more than women. It is only in the BFSI sector the disparity is two per cent more in favour of men. “The narrowing of the gender pay gap by just one percent is not just a cause for concern, but a reminder to genuinely introspect if we are doing enough. It becomes pivotal to galvanize forces across corporates and industries to work towards gender pay parity”, Abhijeet Mukherjee, CEO, Monster.com, APAC & Gulf said. The Monster Salary Index (MSI), an initiative by the job portal with Paycheck.in, which is managed by WageIndicator Foundation, and IIM-Ahmedabad as a research partner; the current gender pay gap in India stands at 19 per cent where the median gross hourly salary of men stood at Rs. 242.49 as compared to the earnings of women at Rs. 196.3. Moreover, the findings revealed that the increase in pay inequality is directly proportional to the years of service. For women with upto two years of service, they are paid three per cent less than their male peers while for women with 3-5 years of service, the difference is of five per cent. For a service tenure of 6-10 years, there is a gender pay gap of 10 per cent in favour of men while for women, who have more than 10 years of experience, the the gender pay gap in favour of men reaches the peak, with men earning 15 per cent more than women. In addition to the MSI, the job portal also revealed that 60 per cent of the working women felt that they are discriminated at work. The most notable form of discrimination is perception that women are less serious about work once they are married. About 46 per cent women feel that maternity leads to a perception that they will quit and the same percentage of women also believe that there is a notion that women can’t put the same number of hours as men. In terms of the reasons to work, more than half of the women stated that they are driven by the desire to work, rather than a need. Collectively, over 50 per cent women say their main reason to work is personal fulfilment and inclination to contribute to family income. These are the findings of Women of India Inc. survey, which Monster India undertook to understand workplace concerns of women. 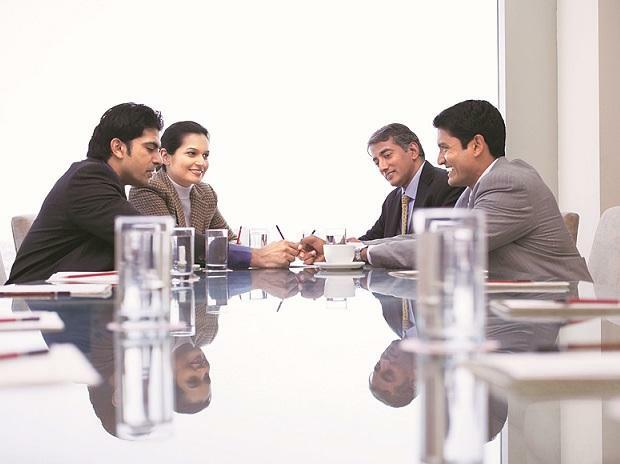 about 66 per cent of the men feel that gender diversity will primarily lead to a healthy work culture and contribution from an eclectic bunch will bring diverse knowledge.